Where are the calls for mosques, Islamic universities, imams, etc. to purge the “hate speech” in islamic texts and teaching? Opinion: Check out the guy on the right. Long time readers will remember him from dozens of posts during the Arab spring. Yusuf al-Qaradawi and his brand of anti-Semitism was banned from the US and UK in 2008, BEFORE Barack Obama was sworn into office on January 20, 2009. With Qaradawi considered so radical that the United States banned him from entering, the situation was made even more inexplicable when the Obama White House invited his deputy, Abdullah Bin Bayyah to Washington. 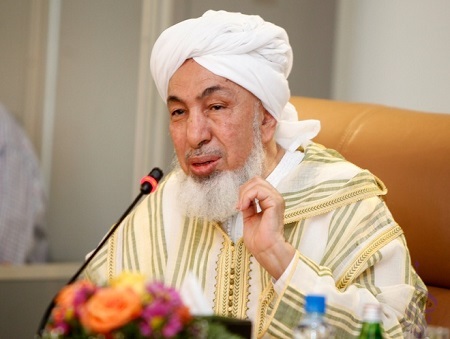 Bin Bayyah was the vice president of the International Union of Muslim Scholars (IUMS), who have a long history of supporting Hamas and of calling for Israel’s destruction. Thanks to the Egyptian coup d’état that took place on July 3, 2013 led by the Egyptian army chief General Abdel Fattah el-Sisi, a total collapse of Egypt was averted.